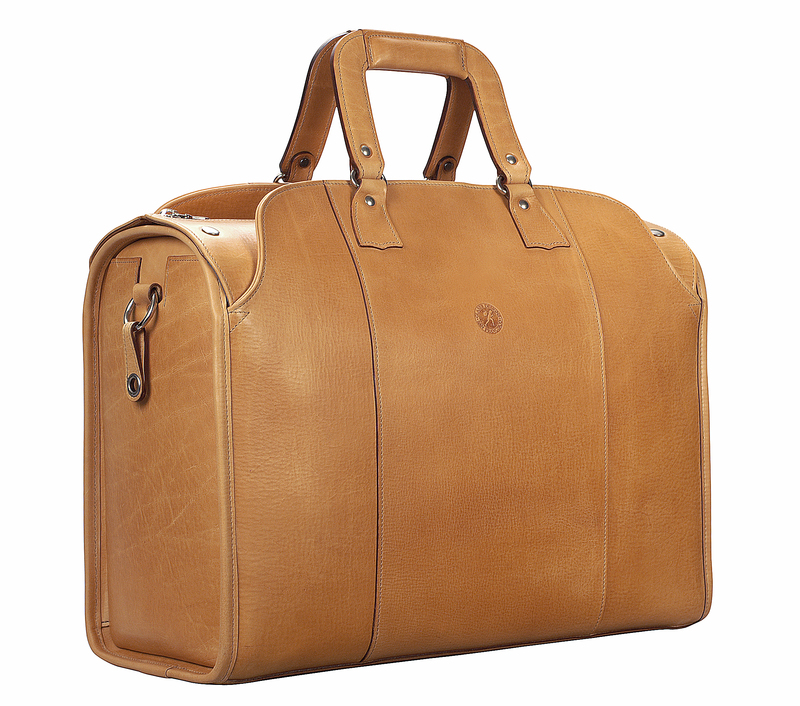 17″ hand-grained, hand-colored sienna Club Bag. We dye our hand-colored bags with colors we mix with Noodler’s Ink®. While there are various mechanical procedures by which tanneries add grain to the leather’s surface, we prefer to grain the leather of our hand-colored bags by hand. Hand-graining the skin adds an extra dimension of color, softens it, enhances its ‘hand’, and elicits grain patterns that are most subtly revealed by handwork. Our transluscent hues highlight, rather than mask, the characteristics of their unique substrate. As the vegetable tanned, open-range leather oxidizes, its evolving russet tones mix with those of our hand-dyed colors contributing complexity to the patina of your bag. Please click image to see details. 16″ hand-grained hand-colored black Headhunter Bag. Sienna-ochre-espresso-aubergine hues. We hand-color the skins in our studio using Noodler’s Ink® fixing the color with our proprietary finish. We hand-grain the skins in the original way rolling them to and fro with curved boards. Please click image to see details. Hand-burnished espresso saddle leather. Please click image to see details. Recent examples of our new series of made-to-order, hand-colored, tri-material, flaptop bags. There are many color options in this series.